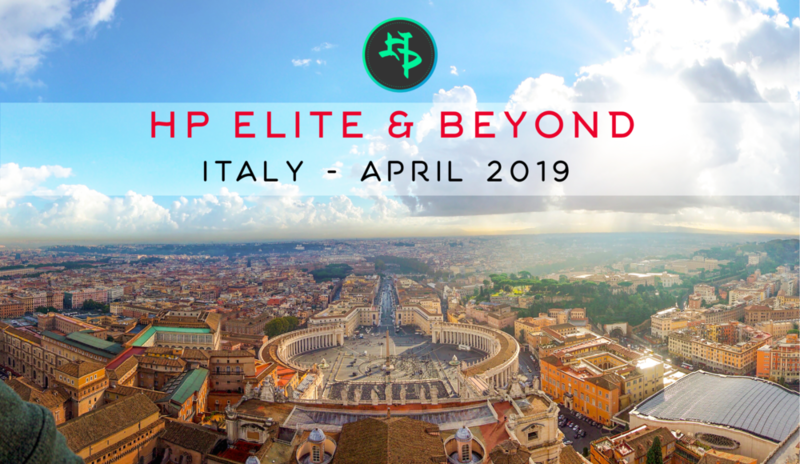 HP Elite & Beyond is excited to announce a cultural and soccer experience in Italy for April 2019. 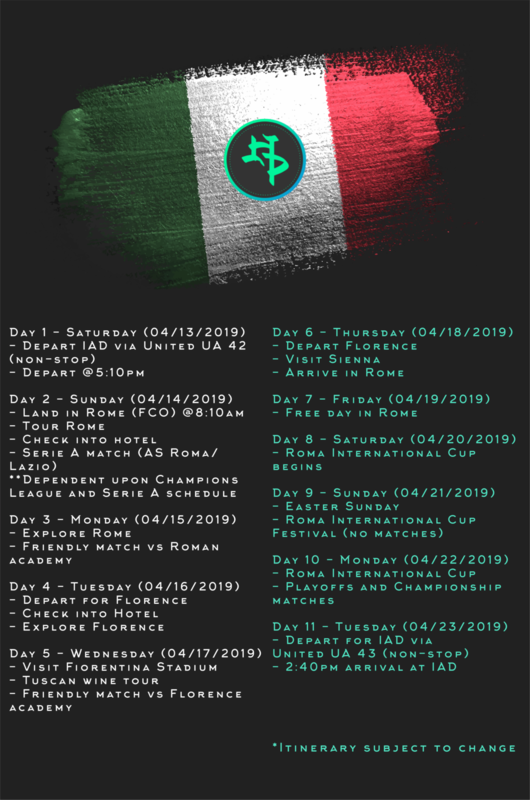 The soccer tour of Rome and the Tuscany region will include visiting Rome, Florence, and Sienna. The select team will play friendly matches with local clubs in Italy, attend a Serie A match (AS Roma or Lazio), and compete in the Roma International Cup in Rome, Italy. Q - Does a parent have to accompany their child on the trip? A - Yes, players must have at least one accompanying parent/guardian for the entire trip. Q - Does my son have to attend tryouts? Q - My son is a Goalkeeper, but they have never trained with HP Elite & Beyond, can they still tryout? A - Yes, ALL Goalkeepers can tryout even if they have not trained with HP Elite & Beyond. We do not offer Goalkeeper training. Q - My son currently plays on a US Development Academy team, is he eligible for the trip? A - The US Development Academy season runs from August 1 - Mid-June. Current DA players would require permission from their club to participate. Q - My son will be trying out for US Development Academy team for 2019-2020 season, is he eligible for the trip? A - Yes, the US Development Academy season runs from August 1 - Mid-June. Therefore players are free to participate in any outside competitions in the summer. Q - Will training sessions for the trip conflict with my son's current team's schedule? A - HP Elite & Beyond will be holding training sessions leading up to the trip, however a player's HOME club/team should take priority. Training with HP Elite & Beyond should be supplemental to what they do with their HOME club/team. HP Elite & Beyond is not affiliated with any club nor has any intention to recruit players for any reason. Our mission is to help each player reach his/her highest potential by developing their individual skills through progressive and intensive technical training methods. All other questions and info will be presented at the informational meeting on Sunday, September 16.